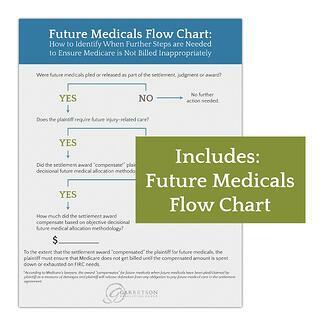 For years, there has been debate on the subject of Medicare Set-Asides (MSAs). Are they required or not? How do you calculate them? MSAs are among the available options when it comes to compliance tools that can help manage the future medical obligation. Rather than asking, “Is a MSA required?” the settlement community would be wise to focus on what the statutory obligation actually is and always has been. While the Medicare Secondary Payer provisions never mention the term “Medicare Set-Aside” or “MSA” in the statute or regulations, it does prohibit Medicare from paying for future items and services where a primary plan or payer has accepted responsibility for those same items or services. Thus, the critical issue becomes identifying whether the settlement award contains proceeds that compensate the claimant for some or all of those future injury-related items or services. If it does, then the claimant should make sure Medicare is not billed until that compensated amount is spent down appropriately. While an MSA could be one tool to ensure that occurs, it’s not the only way. 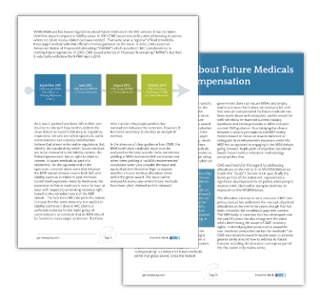 In Future Medicals in 2016 & the MSP Statute, we discuss the topic’s evolution over the past several years and provide guidance on addressing future medicals in your cases today.